I've been looking over some of the long range charts for any chances of snow. 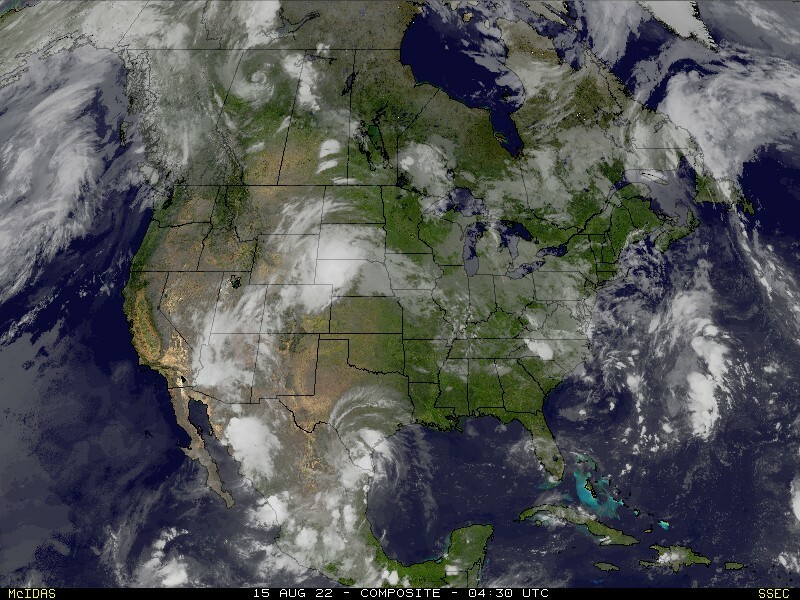 It looks like we might have something to keep an eye on, but don't get too excited, it is still several days away. The National Weather Service's Global Forecast model is hinting at an interesting storm developing Saturday, January 8 that has some potential to produce several inches of snow. Here is a look at 12z (6am) Saturday, January 8. 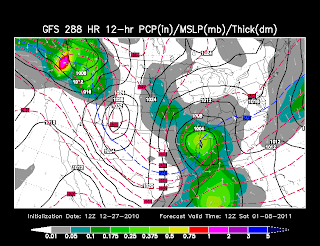 The track that the GFS is showing is favorable for big snow for this part of the country. 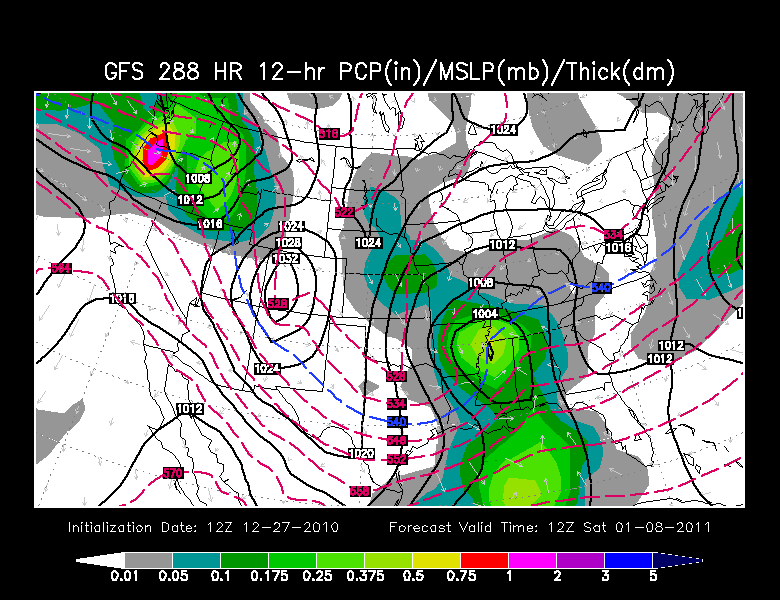 It is far from a "sure thing" but it will be fun to watch over the coming days if the model keeps this storm intact.